Directed by Steven Spielberg, bringing Roald Dahl’s classic children’s book to the big screen, The BFG follows the budding friendship between bright but lonely young girl Sophie (Ruby Barnhill), and a towering creature who calls himself the Big Friendly Giant (Mark Rylance), who takes her from an orphanage in the middle of the night and back to his home in Giant Country. Delivering enough of that classic Steven Spielberg magic to capture both our hearts and imaginations, The BFG is a wonderful escape into a kinder and gentler world, that is carried by excellent performances from Ruby Barnhill and Mark Rylance. This is one of the best and most underrated movies of the year, and for more on the film itself, you can read our three views right here. 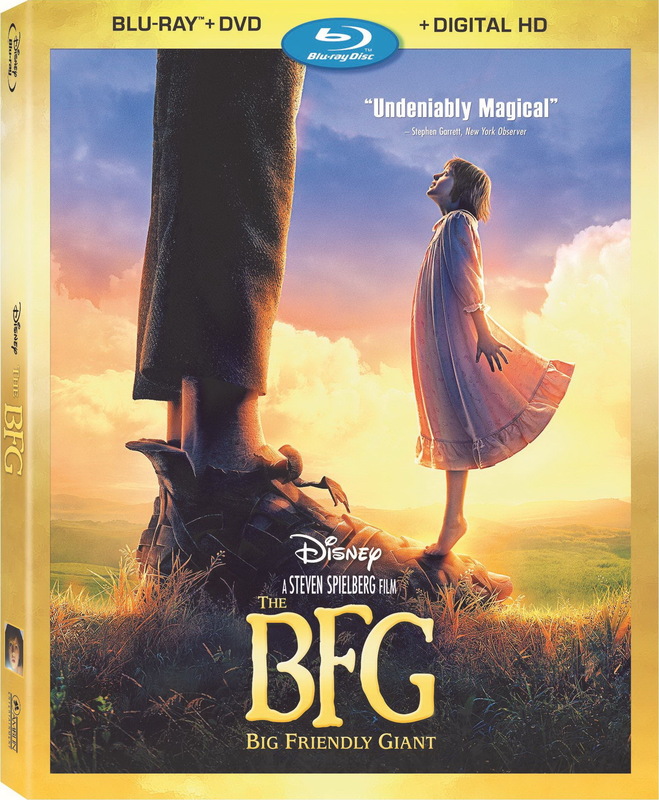 The Blu-ray also includes Bringing The BFG to Life, which is an extended “behind the scenes” featurette framed around Ruby Barnhill’s video diaries from the production, a nicely done tribute to screenwriter Melissa Mathison who passed away before the release of the film, as well as the brief animated short The Big Friendly Giant and Me, the short featurette Giants 101 which introduces us to the actors behind the giants, and the pretty silly puff piece Gobblefunk: The Wonderful Words of The BFG. The BFG is a Walt Disney Studios Home Entertainment release. It’s 117 minutes and rated PG.